Ah, 1976 and the run up to the nation’s 200th birthday was complete. Everything was red, white and blue, stars and stripes and Uncle Sam. We beat the odds, overcame adversity and now it was party time. And to get to your party you needed an appropriate ride – something decked out in bicentennial attire. 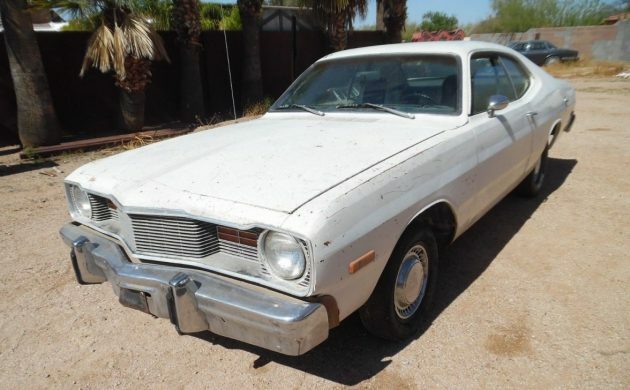 Like this 1976 Dodge Dart Spirit of ’76 two door on eBay in Cave Creek, Arizona with a current bid of $1,001 and an unmet reserve. The bicentennial celebration cars offered by the Big Three were white with some sort of red, white and blue stickers, stripes or badges applied. This Dodge Dart is no exception and it still has the remains of some of the stickers visible on the door edges. It looks like most of the special vinyl graphics have been painted over at some point in the past. The rest of the body appears to be pretty solid with just a few dents, minor paint scratches and surface corrosion. Inside the car, the effects of years in the western sun are apparent. The dash top has collapsed due to the rigid foam underneath the cover degrading in the heat. The front seats look like the center fabric on the bases was replaced at some point and it has worn out again exposing the foam cushions. The rear seats are in better shape, but not by much. They still have the denim-like striped center fabric inserts in place. The door coverings look like they are in good condition and might just need a cleaning to be serviceable. Under the hood there is the absolutely bomb-proof 225 cubic inch slant six cylinder engine that powered Chrysler products for many years. It has air conditioning and a Torqueflite automatic transmission and they would conspire to sap a lot of the 100 horsepower available. 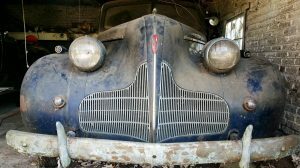 The seller says that it will start and run if you can keep pouring gasoline down the carburetor. The mileage claimed is 75,000. Photos of the underside of the car show a surprisingly clean view. Rust is nowhere to be seen and it looks like it was never undercoated. There may still be a catalytic converter in place, so the car maybe spent its life where annual smog checks occurred. That is a good thing since it was probably better maintained than it would have been where testing wasn’t done. A restoration of a car like this would be a labor of love since the finished value would likely not be high enough to make it pay. But as a relic of a time of celebration, it would be a cool addition to any car show field. Nothing special with the graphics gone and even then it’s just a 6 cylinder Dodge with stickers. Being mostly rust free it would make for a nice engine swap, interior upgrade, paint, set of nice wheels and tires with a throaty exhaust and then roam your local cruise street. Good to see [well sort of under all that emissions spaghetti] another Slant. People drive cars into the ground regardless of whether there are smog checks in a particular state or not. 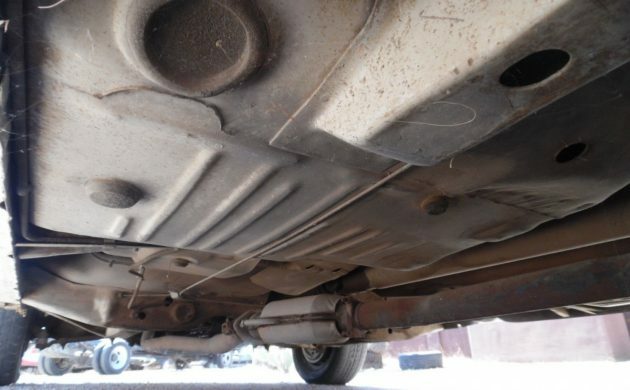 That a car had a catalytic converter is no insurance as to maintenance being better or not. And especially not after 42 years. State forced maintenance is no cure for deferred repairs. New parts on a POS are new parts on a POS. Annual safety inspections, same thing. Great cash cow for the government though. 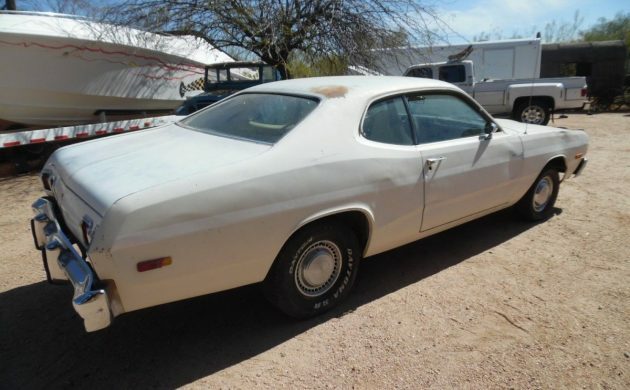 It would be $$$ ahead to buy this for a MOPAR project/ pro-street, pro-stock tribute car. 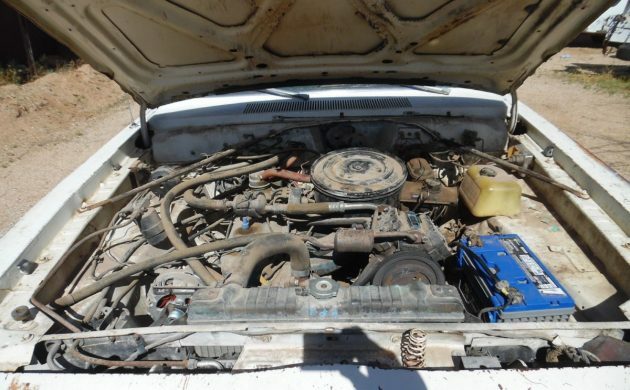 OR pull all the running gear from a salvage v8 Charger or Challenger. Modern brakes, suspension, and Finally Handling!! Would be kinda fun!! I was selling Dodges in Toledo Ohio in 1976, and we had about 30 of these parked in the back lot. It was hard to see them with all the snow piled high. First car I sold was a 4dr 1974 Dart, rubber floors, no air no power steering. 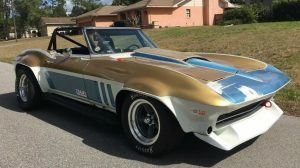 Sold it in May 1974 for $2,800. 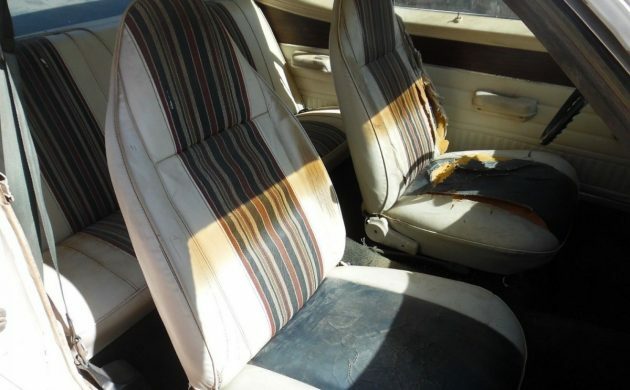 Interesting same seat covers as the 74 75 dart sport hang 10, difference as the hang 10 had matching door panels, Bright orange and white console, and factory bright orange (or red, not sure) shag carpeting! 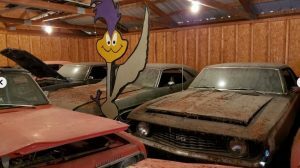 Yes, a cosmetic package, but those cars look great original or restored. I had a 74 hang 10 that I purchased from Otis Chandler in early 90,s with 44K original miles, unrestored. The colors were vibrant, and that center fabric is actually swimsuit material. I thought the headline said “Pathetic Mopar” and having owned a ’75 Duster with the slant-six, that description is spot-on. My husband actually bought this car a couple of months ago! 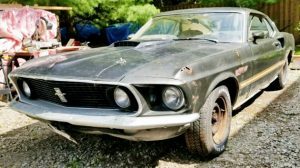 He is restoring it himself as a project car now that he is retired. He’s a Chrysler/Dodge guy and currently has a 2013 Challenger. I’m looking to see about getting the decals custom made so the package is complete.